This entry was posted on January 14, 2019 by chris elliott. The best way to keep your floor clean is to stop dust, dirt and grit from getting onto it in the first place. We recommend you use door mats in any entrance doors. These will help to catch any water, grit, stones and dirt. Ideally, you should remove outdoor footwear before walking on your bamboo floor. Never leave wet or dirty footwear on your bamboo floor. You should sweep your bamboo floor regularly. This will prevent dust and dirt sitting on the surface of your floor. If dirt is walked on, it can scratch and dent your bamboo. When sweeping your bamboo, always use a soft bristle brush. You can use a vacuum cleaner, but make sure it has a cleaning head designed for wooden floors (otherwise it may scratch your bamboo). We would recommend sweeping busy areas daily, and less busy areas when needed. Cleaning your bamboo can revive and refresh the surface of the floor. You should sweep first, and then clean the floor to remove any marks or stains. There are many different cleaning products for wooden and bamboo floors that you can use. 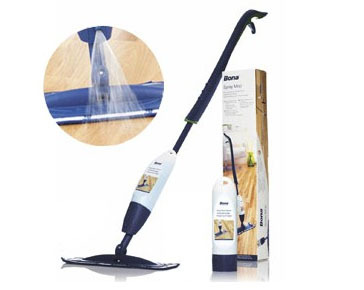 We recommend the Bona Spray Mop. It has a soft microfibre (removable and washable) cleaning pad, and a refillable spray cartridge attached to the mop. It is really easy to use, and the cleaning solution is PH neutral. You can use a damp mop, but it should be fully wrung out. No excess water or liquid should be left on the floor. Never use a steam mop. They are great for tiles, but the steam can damage bamboo and wood. Other products to avoid are things that may damage your floor, like furniture polish, acidic cleaners or abrasive products. Hopefully this has given you some good tips and advice about cleaning your bamboo floor. 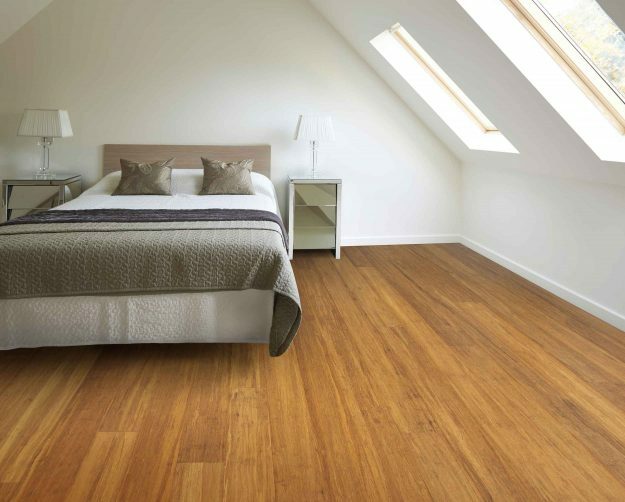 If you want any further information, have a look at our Bamboo Flooring Cleaning and Maintenance Guide.